Butts, Kale, Zucchini, This Week Schedule, Wednesday night is Rockin’!! 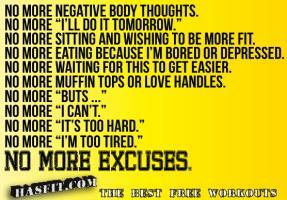 It is so AWESOME when new people walk through the door at No Excuses! I am like a little kid when a new face comes in or an old face returns! I love it! I know that it is VERY hard to take that first step to walk through those doors….I was there once too. I actually bought the Living Social coupon for No Excuses a long time before I ever used it. I just couldn’t get myself to try something new, something that involved me taking a risk outside of my comfort zone. It was a little uncomfortable at first, but it was definitely not what I had created in my mind (my mind tends to get the best of me). No one yelled at me for standing in their spot, my workout clothes were sufficient, I wasn’t the slowest and I was far from fastest, I wasn’t the oldest and I definitely was not the youngest. A lot of people all ready knew each other (or so it seemed), there were some that came together (like a little clown car where they just kept unloading) and there were those that came in pairs, and there were those that came on their own. After a few times I figured out a few names (and remembered them) and knew that if I wanted to develop friendships or relationships with these people I could (and have)and I also knew that if I didn’t want to do that (and just come in and workout with a group) I could do that too. Those people that I thought all ready knew each other had actually just gotten to know each other through the classes at No Excuses. Of course for me the story goes a little different than it will for you (I decided to take over the place), but I think you get my point…. 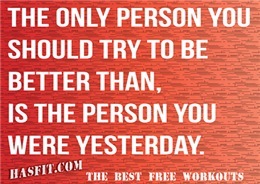 THE FIRST STEP IS THE HARDEST, WALKING THRU THAT FRONT DOOR!!! ANYWAY…..HOW ABOUT THOSE BUTTS? I don’t know what happened, actually I do know what happened, but OH MY GOSH!!! I couldn’t walk straight for days!! Again, another benefit (for you, not me) of the instructor doing the class with you…..I FEEL YOUR PAIN!! 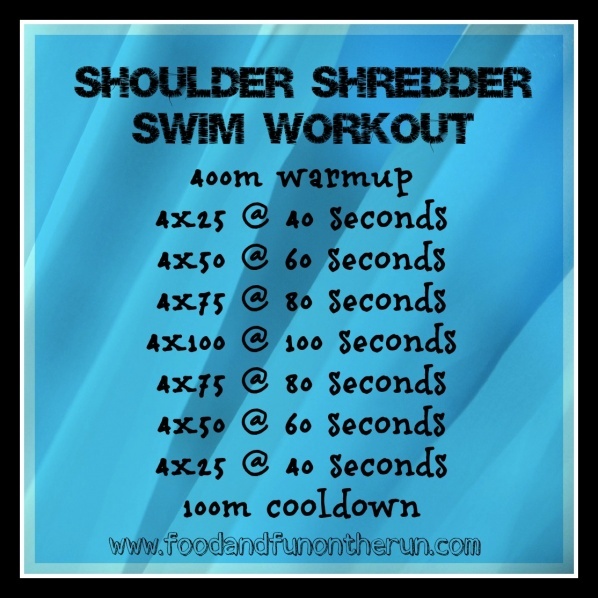 SHOULDER SHREDDER WORKOUT FOR SWIMMERS….I am not a swimmer, although I did swim my Senior Year of High School to stay in shape for basketball and softball seasons (my dad thought it would be a great way to stay in shape during the offseason). I found a workout you might want to try. If you do try it, let me know how it is so we can share it with some others. 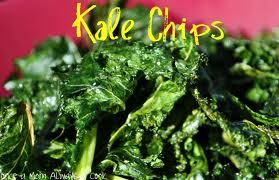 KALE CHIPS…Yep, I tried them! I liked them, not loved them, but definitely liked them and have a craving for them right now! 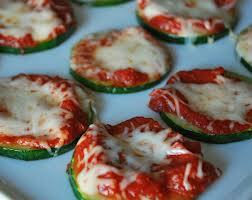 Jim did NOT like them (and he has tried alot of my attempts at healthier food). The kale chips were SOOOOO easy to make- tear off the leaves, put on parchment paper on cookie sheet, toss the leaves in olive oil, sprinkle with some sea salt and pepper, bake for about 12 minutes at 350 degrees. So easy!! The Kale chips satisfied that salty crunchy need. I also tried another batch with some brown sugar on them….I liked the salty better. Monday- SAME AS USUAL—5:15 am and 9:10 am—We are doing some station work!! I can’t wait to see all of you this week! It’s going to be a great week! See you soon! PS—-Any song requests this week? ← The time is NOW….